With the east coast of Australia experiencing some of the wildest weather in decades last weekend, the 2016 Battle on the Border was unfortunately reduced to just one stage. 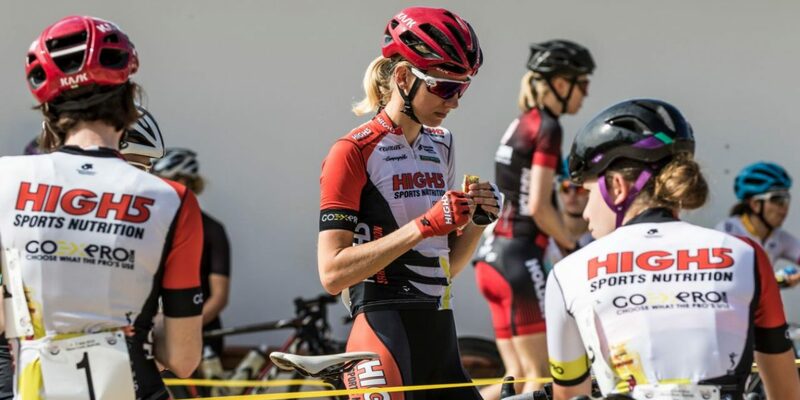 The High5 Dream Team had a day of mixed fortunes, with guest rider Maddy Fasnacht as the top Dream Team finisher in 5th place. Tessa Fabry put in a huge performance and was the last rider away with 5km to go, but was caught in the final 600 metres. 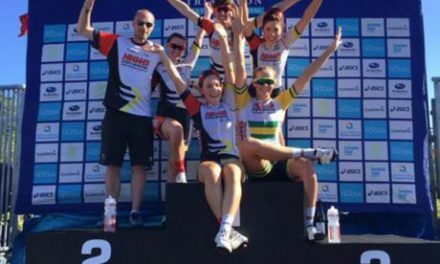 Lucy Kennedy took the QOM jersey, but was involved in a crash at the end of the stage and broke her collarbone. “Having been caught behind another crash a little earlier, I was working hard to close gaps. I went into the final roundabout too hot, slipped in the wet and landed on my head and shoulder. X-rays confirmed a fractured right clavicle and I had surgery on it on Wednesday to fix it with a plate. I’ll be easing back into training on the ergo and hope to be back and fit for the next NRS round at Sam Miranda. Timing wise, it’s about the best time for this injury – ergo isn’t so bad when it’s cold and dark outside and it’s a long break in the NRS season. “X-rays confirmed a fractured right clavicle and I had surgery on it on Wednesday to fix it with a plate. I’ll be easing back into training on the ergo and hope to be back and fit for the next NRS round at Sam Miranda. Timing wise, it’s about the best time for this injury – ergo isn’t so bad when it’s cold and dark outside and it’s a long break in the NRS season. “I was happy with how I rode until that point and the team worked together really well, especially given there were only three of us. I’ve been climbing well so the QOM jersey is a small consolation. I wonder if I’m the only rider to have ever crashed out on Stage 1 and still won a “tour” jersey!” added Kennedy. The High5 Dream Team will be back in action at the 2016 Sam Miranda Tour of the King Valley, commencing August 19. 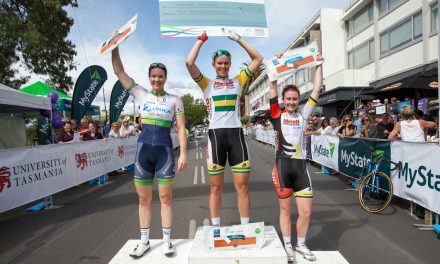 Kimberley Wells Wins 2015 Launceston Cycling Classic Criterium!